We have many more standard models than shown and frequently do custom designs. Please give us your requirements and we will quote an appropriate unit. 1. Scissors lifts are fully assembled at the factory and not field assembled from kits. 2. 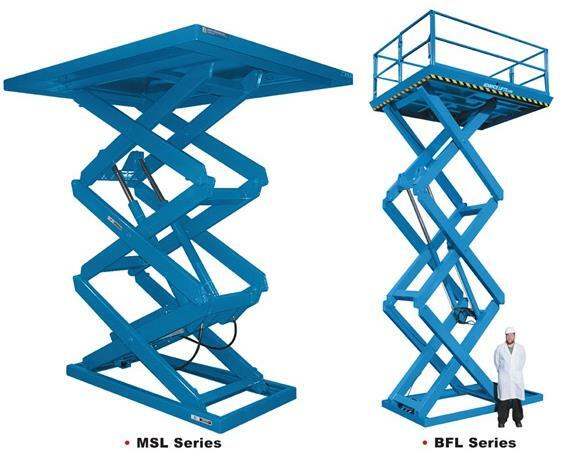 Scissors lifts have no external guides and are guided and supported by the scissors mechanism under the platform. 3. Scissors lifts do not require licensed elevator installers. 4. 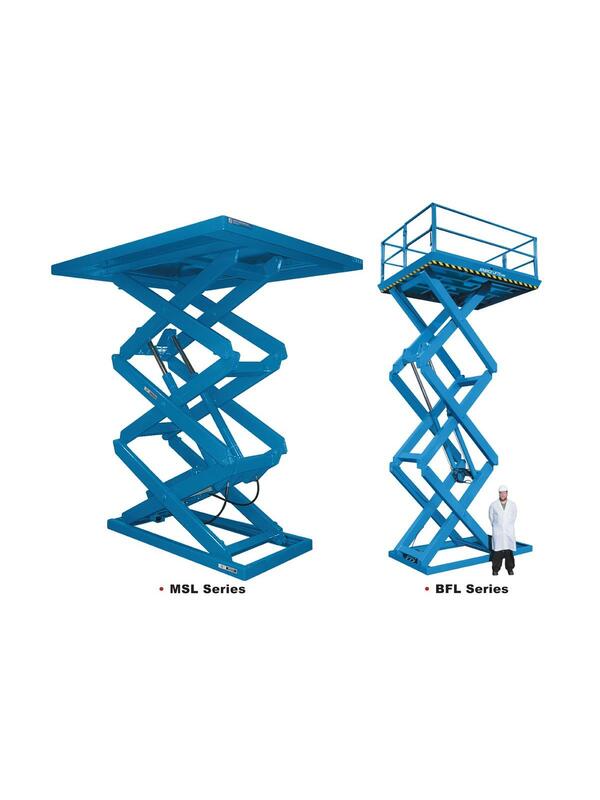 Rider scissors lifts are controlled by the rider/operator using a constant pressure pushbutton mounted on the platform. Riders are considered incidental to the cargo. 5. Non-rider lifts are controlled by call/send buttons mounted at each level. 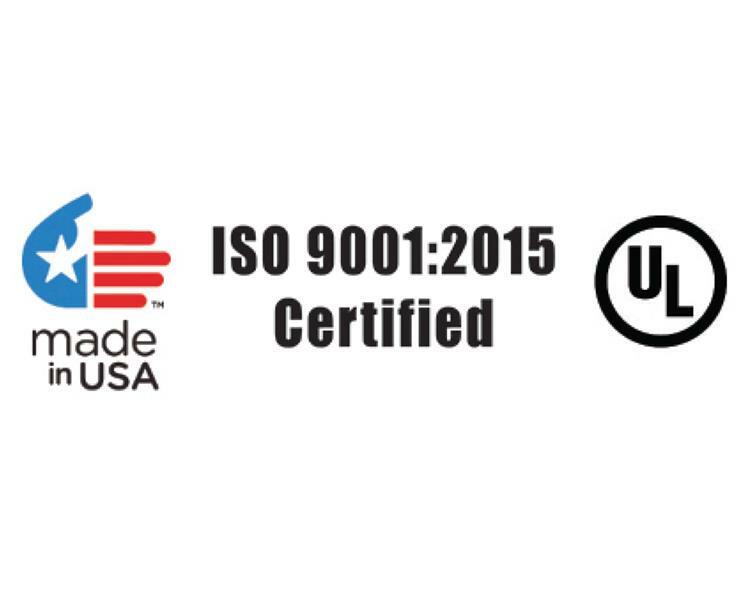 The International Building Code for 2015 (printed in June of 2014) sites ANSI MH29.1 Safety Requirements for Industrial Scissors Lifts as the appropriate reference. ONCE THE APPROPRIATE MODEL IS CHOSEN, WE WILL DETERMINE THE APPROPRIATE SIZE AND PRICE OF ANY REQUIRED ENCLOSURES.